The Oceano combines a 5-zone coil base and a 4-inch top of individually wrapped microcoils with a plush layer of gel memory foam. It is hand-tufted with wool yarn running from top to bottom, securing every layer together without the use of airflow blocking adhesives. Hand-stitched tape edges and four-way stretch knit on top help you reap the full rewards of memory foam and supporting you fully every night and every morning. Microcoils provide extra comfort while our base coils sit in 5 zones, perfectly supporting your feet, head, and lumbar area, while gel memory foam cradles your entire body. 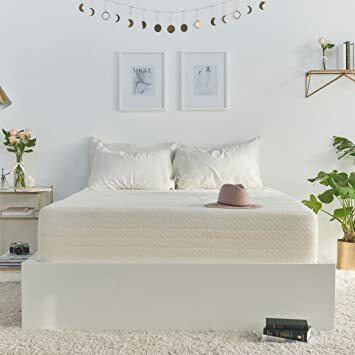 An oceano is a little ocean, a body of water both connected and separate from the larger world, where things are a bit more peacefulthis mattress will be your little oasis. This Brentwood Home mattress provides a medium-firm feel. The 2.5-inch layer of gel infused memory foam responds to your bodys individual shape, weight, and temperature. It adjusts its shape to provide precise support, keeping your spine in alignment while relieving discomfort at pressure points in areas like your hips and shoulders. The infused gel and the ventilated airflow layer evenly disperse heat through the mattress to prevent hot spots that lead to tossing and turning. Our special blend of memory foam actively responds to your movements, allowing you to move freely around the bed without experiencing the quicksand effect. A solid support base absorbs your weight to dampen motion transfer and prevent noise. 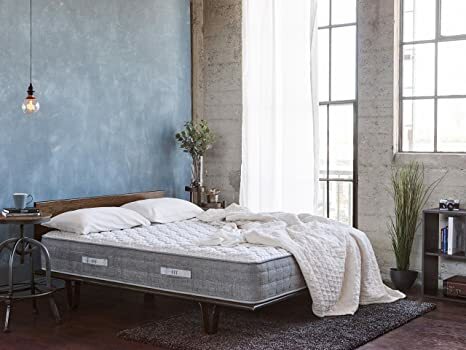 The mattress is finished in a removable wool-lined zipper cover that stretches in all directions, allowing you to enjoy maximum pressure relief. The wool lining resists odors while it wicks away moisture and regulates body temperature by creating micro-climates. This means that you stay cool in the summer and warm in the winter. The safety of your family is important to us so we only use CertiPUR-US certified foams that are free of flame retardants, formaldehyde, heavy metals, and phthalates. We offer a 25 year warranty as a guarantee of quality. You will be protected from manufacturing defects and premature sagging. We compress and roll our mattresses for easier shipping and setup. Please note that any Brentwood Home Mattress purchased through Amazon is subject to Amazon’s 30 day return policy. The Solano combines traditional mattress craftsmanship with the comfort of natural latex. 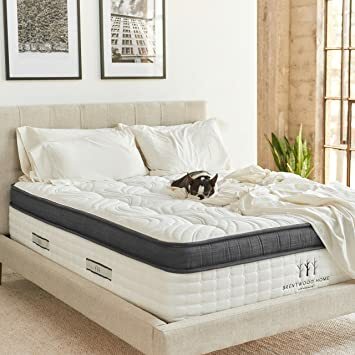 Hand-stitched tape edges and four-way stretch knit on top help you reap the full rewards of natural latex, keeping your mattress from bowing and supporting you fully every night and every morning. Most important, the natural latex layer gives a more resilient plush feeling for your comfort, while a ventilated foam layer keeps your mattress breathable. When youre sleeping on the Solano, youll feel like youre always waking up to a brighter morning, because solano is the name for a place where the sun always shines. The Del Mar combines the traditional mattress craftsmanship of individually wrapped coils with an impossibly soft layer of gel memory foam. Hand-stitched tape edges and four-way stretch knit on top help you reap the full rewards of memory foam, keeping your mattress from bowing and supporting you fully every night and every morning. 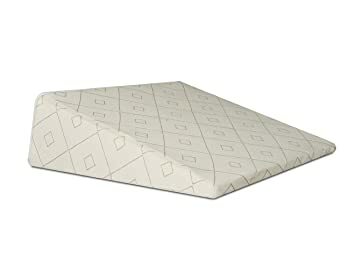 Most important, individually wrapped base coils sit in 5 zones, adding extra protection and support for your feet, head, and lumbar area, while gel memory foam cradles your entire body. Del Mar means of the sea, and we hope youll wake up feeling refreshed like you just walked out of the ocean and onto the warm sand. 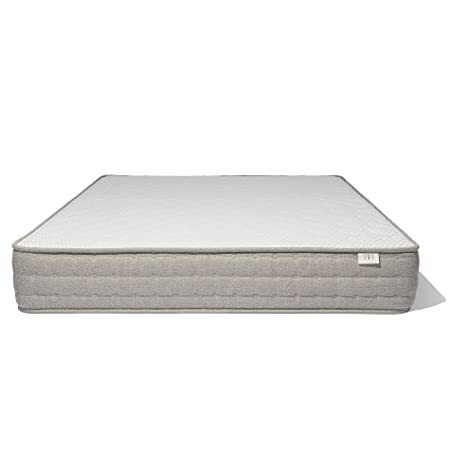 This Brentwood Home Cypress Gel 13 mattress provides a medium feel. The 3.5-inch layer of gel infused memory foam responds to your bodys individual shape, weight, and temperature. It adjusts its shape to provide precise support, keeping your spine in alignment while relieving discomfort at pressure points in areas like your hips and shoulders. The infused gel and the ventilated airflow layer evenly disperse heat through the mattress to prevent hot spots that lead to tossing and turning. Our special blend of memory foam actively responds to your movements, allowing you to move freely around the bed without experiencing the quicksand effect. A solid support base absorbs your weight to dampen motion transfer and prevent noise. 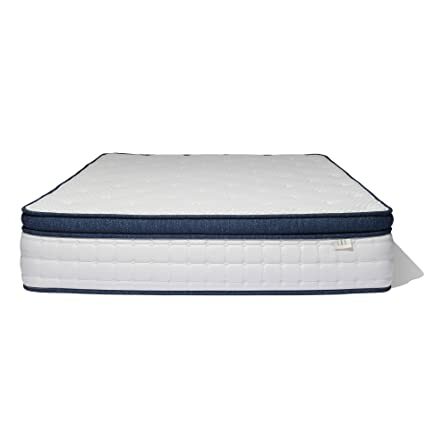 The mattress is finished in a removable wool-lined zipper cover that stretches in all directions, allowing you to enjoy maximum pressure relief. The wool lining resists odors while it wicks away moisture and regulates body temperature by creating microclimates. This means that you stay cool in the summer and warm in the winter. The safety of your family is important to us so we only use CertiPUR-US certified foams that are free of flame-retardants, formaldehyde, heavy metals, and phthalates. We offer a 25-year warranty as a guarantee of quality. You will be protected from manufacturing defects and premature sagging. We compress and roll our mattresses for easier shipping and setup. Please note that any Brentwood Home Mattress purchased through Amazon is subject to Amazon’s 30-day return policy. The Brentwood Home Cypress Gel 10 provides a plush feel. The 2.5-inch layer of gel infused memory foam responds to your bodys individual shape, weight, and temperature. It adjusts its shape to provide precise support, keeping your spine in alignment while relieving discomfort at pressure points in areas like your hips and shoulders. The infused gel layer evenly disperses heat through the mattress to prevent hot spots that lead to tossing and turning. Our special blend of memory foam actively responds to your movements, allowing you to move freely around the bed without experiencing the quicksand effect. A solid support base absorbs your weight to dampen motion transfer and prevent noise. The mattress is finished in a removable wool-lined zipper cover that stretches in all directions, allowing you to enjoy maximum pressure relief. The wool lining resists odors while it wicks away moisture and regulates body temperature by creating microclimates. This means that you stay cool in the summer and warm in the winter. The safety of your family is important to us so we only use CertiPUR-US certified foams that are free of flame-retardants, formaldehyde, heavy metals, and phthalates. We offer a 25-year warranty as a guarantee of quality. You will be protected from manufacturing defects and premature sagging. We compress and roll our mattresses for easier shipping and setup. Please note that any Brentwood Home Mattress purchased through Amazon is subject to Amazon’s 30-day return policy. 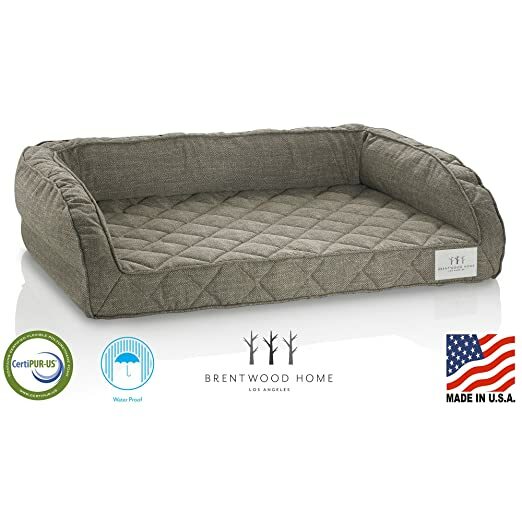 The Brentwood Home Gel Infused Memory Foam Deluxe Pet Bed is a well-deserved upgrade for your furry companion. Featuring a bolster design, this deluxe bed shapes and conforms to your pets curves to relieve pressure prevents body aches. The base of this bed is 4-inches: 2-inches of gel infused memory foam and 2-inches of orthopedic base foam. The gel particles keep the bed cool and comfortable, while the orthopedic base layer provides therapeutic support for rejuvenating rest and arthritis relief. The bolster gives your pet added security and can be used as a comfortable head rest. Available in a variety of colors and sizes to fit every pets needs, this Dog Bed has a soft microfiber cover with a non-slip bottom that keeps the bed in place. Best of all, this bed is completely waterproof making cleanup a breeze! Simply unzip and remove the microfiber cover for washing and rinse the bed off. After air-drying, replace the clean cover and let your dog enjoy the best in comfort and support.